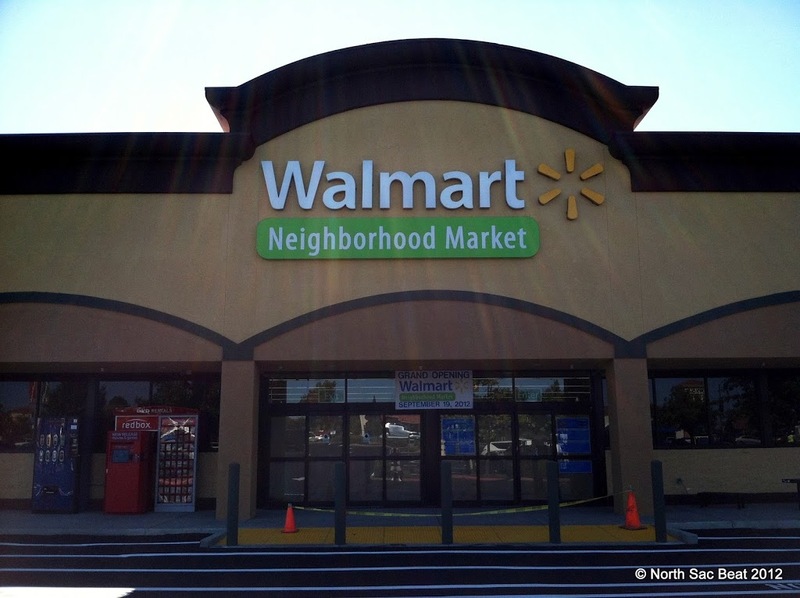 The new Walmart Neighborhood Market opens this Wednesday, September 19th at 2700 Marconi Avenue, the site once held by Albertsons/Lucky. Walmart Neighborhood Market will carry groceries and has a pharmacy. It is also expected to have a garden center, 1-hour photo center, and accept SNAP. This is the second opening of a major grocery store in less than a year in the Arden Arcade area; Fresh & Easy opened in early March 2012. This also puts Walmart in direct competition with Trader Joe’s and Save Mart, who is handling labor matters. 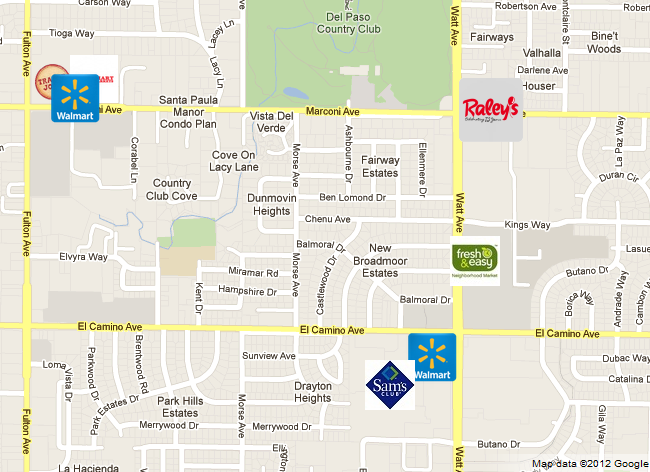 Walmart Neighborhood Market is the seventh major supermarket to open in the Arden Arcade area within an approximate 1.5 square mile radius. In contrast, the Fresh and Easy site on El Camino Avenue and Evergreen Street remains vacant. Grocery stores between Fulton Ave and Watt Ave in Arden Arcade. September 16, 2012 in Arden Arcade, Economy, Event, Fresh and Easy, Save Mart, Trader Joe's, Walmart.